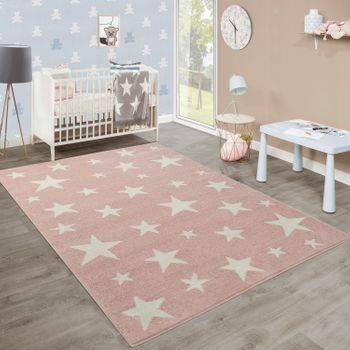 Do you appreciate a simple and minimalist decorating style, but your daughter loves pink above everything else and dreams of a children's room completely in pink? 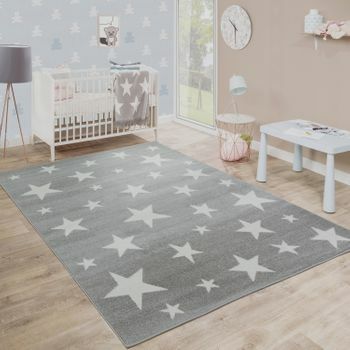 This delicate rug in checked design with stars, the moon and dots is a nice compromise. 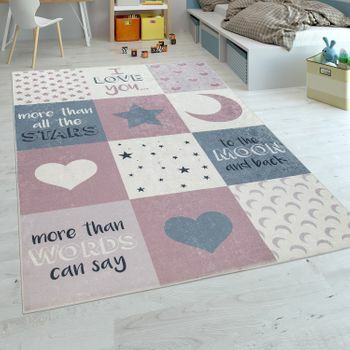 The delicate pink nuances, combined with soft grey tones, are girly and but not overbearing or tacky. 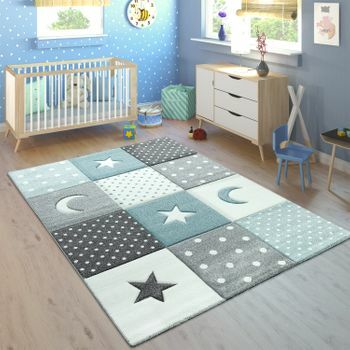 The cute children's rug also fits in a baby’s room perfectly. 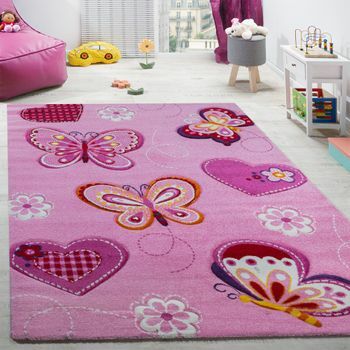 The sweet short pile rug is made for girls - from newborn up to school age. 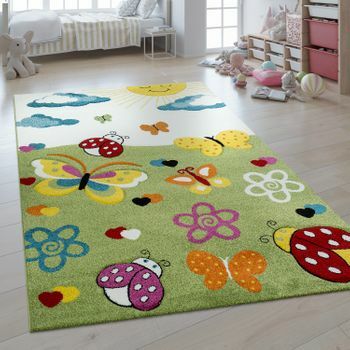 Made from 100% polypropylene it is perfectly suitable for everyday life with a child: The practical synthetic fibres make it easy-care and robust. 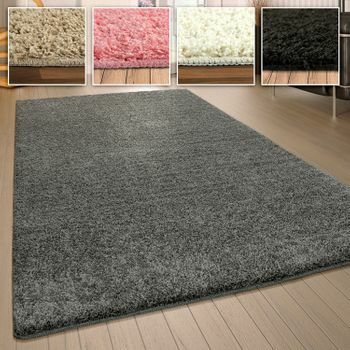 It is also odourless, non-abrasive and very durable. 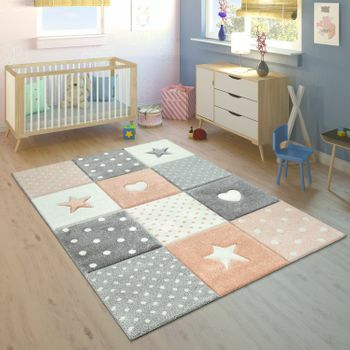 Its soft, thick pile has a height of 13 millimetres and deals with everything from crawling and first steps to rough and tumble. 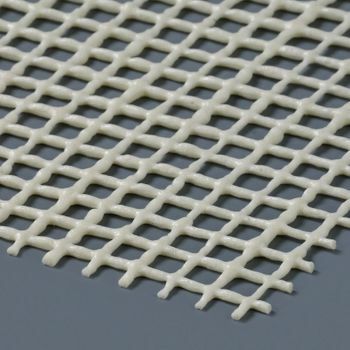 The Oeko-Tex standard certificate means free from harmful substances and textile you can trust. 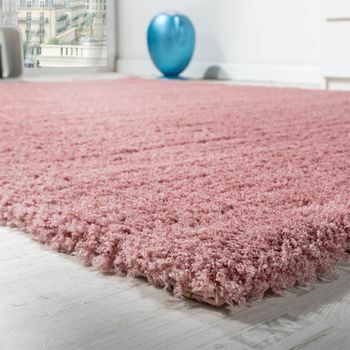 Our tip: Soft pink tones have a calming and relaxing effect. In combination with white, grey and light wood tones a cosy atmosphere of well-being is created. 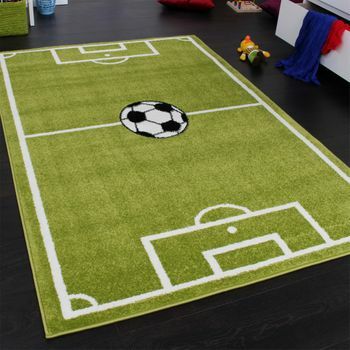 Make the children's room a pleasant retreat. A teepee tent with a fluffy blanket, some cuddly cushions - and some pretty fairy lights overhead - invite you to dream.